Online education is part of the quintessential change in education and it holds many promises for educators, parents, students, and administrators. Since the majority of virtual high schools are still in their first generation, there is a substantial need for documentation and validation of the effectiveness of distance learning for adolescent students. The present research was conducted on CyberSchool in Eugene, Oregon, one of the first fully operational virtual high schools in America. The purpose of this qualitative, descriptive case study was to construct a picture of CyberSchool by describing adolescent students' attitudes, experiences, and beliefs towards learning, motivational issues, and the structure of the virtual learning environment. Another goal of this work has been to bring greater awareness to those involved in education that are seriously considering the benefits and limitations regarding online learning for adolescent students. This study revealed that the key to successful online learning for adolescent students lies within motivational issues and highly structured courses. Additionally, the results of this research indicate that adolescent students are ready to learn in cyberspace if they are able to commit to their education and if the appropriate support and guidance is available to them, especially from their teachers. Finally, some of the strengths and weaknesses of web-based learning have been identified. Weiner, C. (2003). Key Ingredients to Online Learning: Adolescent Students Study in Cyberspace – The Nature of the Study. 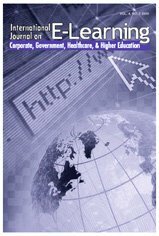 International Journal on E-Learning, 2 (3), 44-50. Norfolk, VA: Association for the Advancement of Computing in Education (AACE). Retrieved April 21, 2019 from https://www.learntechlib.org/primary/p/14497/.